There seem to be a lot of foods that are "back" lately. Fat is back! Bacon is back! Eggs are back! Most of it is fueled by enthusiasm surrounding low-carb diets, Paleo, keto, Whole30, social media and perhaps a boredom with the more traditional dietary options like the Mediterranean diet. That's not a bad thing necessarily because it forces us to think about the fault in our dietary patterns, but as a nutritionist, one trend I am seeing a lot in my patients is the thought that red meat consumption is not as bad as everyone thought it was. Let's first define what red and processed meat actually is. Anything with four legs is considered to be red meat. This includes pork (it's really not the "other white meat"). Bacon, hot dogs and sausage that's derived from pork is considered processed. Many processed meats contain nitrates (which form into nitrites by the body) which alone can have a significant impact on cancer risk. The truth is, scientists aren't 100% sure, but some experts point to the fact that the iron in red meat is a big part of the problem. 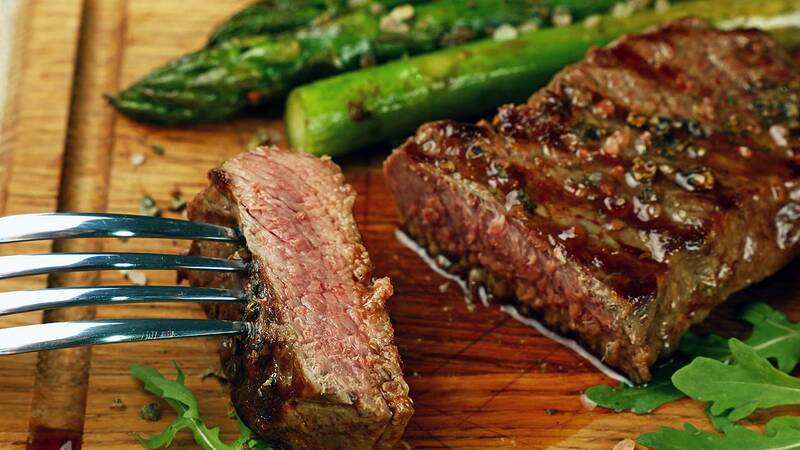 Heme iron (the type of iron only found in meat) has been associated with an increased risk of diabetes and it has been found that heme iron increased the risk of heart disease by over 50%. Heme iron was also found to increase the risk of certain cancers such as colon and stomach. But people still love their burgers — and startups have now provided them with options that give them the look, smell and taste they are craving without the animal associated with it. It's a step in the right direction, but the products are still new and it will most likely take years, and research, to understand just how they will impact the health of our nation. One thing is clear though — multiple studies show that eating less meat, and more plants may result in significant improvements in our environment.